Early in life, I began watching, reading, and listening to parodies, spoofs or imitations that attempt to mock the original. It was also the same time I realized that I sort of enjoyed parodies more. I don’t know if it is because of the inherent cynical humor and sarcasm or that I just liked humorous stuff better. I remember my uncle being a strong influence in this area. He is a huge fan of parody songs. While driving long distance in the car, he would play the parody songs in a loop and the whole family loved humming to the songs’ tunes. I wonder if this gave any newfound meaning to my child’s mind matching parodies to the actual creative products of the mind. 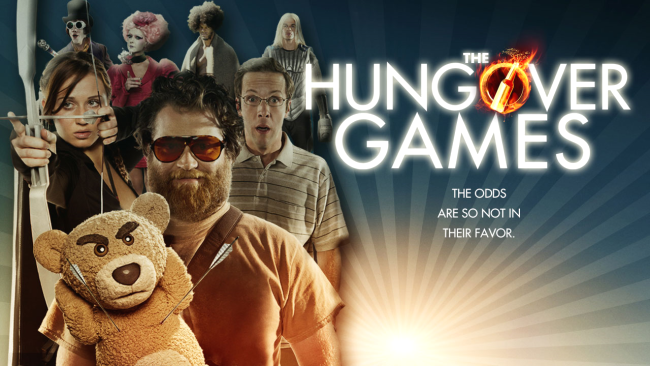 My interest in parodies sparked again when I recently watched The Hungover Games, a cross between The Hunger Games and The Hangover. The story is about how the main characters go about celebrating the bachelor party of their friend as in The Hangover. They do this by winning a fight as shown in The Hunger Games: Catching Fire. The film has spoof elements from other movies too. A real parody in its true sense! It is so hilarious that I was Rolling On the Floor Laughing the whole time. That’s when my mind floated back to the first spoof movie I ever watched: Scary Movie, a horror comedy film, in 2000. Since then, there have been five sequels parodying the successful horror movies of the year. I read that the latest sequel, Scary Movie 5, released in 2013, based on Mama, did not really make it big at the box office. Spoofing music videos is another common activity these days. And it all starts with the popular ones. There are many takes on the Happy video from Pharrell Williams, shot in cities and countries around the world. Though some of these are not necessarily spoofs, there have also been many of those spoof videos. Also, how can I not mention the most popular spoof video of 2013, the one on Miley Cyrus’ Wrecking Ball, featuring Nicolas Cage?!! It was interesting to follow the news stream on the First Kiss youtube video that went viral and its parodies that came by soon after. The video shows 20 strangers kissing for the first time in front of the camera. Noted for its unconventional outlook on human relationships, the video was supposed to take on a greater meaning when it was found that it is actually launched as an ad campaign for a clothing store. Alas, this was disillusioning for the general public. The parodies, as expected, were fun. The most popular parody of that video was a video from LA-based sketch comedy troupe, Pimm’s Girl. In television, the Colbert Report can be considered as the best parody talk show, where he assumes the persona of an ultra-conservative character and does it with a forever-straight face. The Daily Show with Jon Stewart is another remarkable parody news program and many from the younger generation have declared that they get their news update from that program!